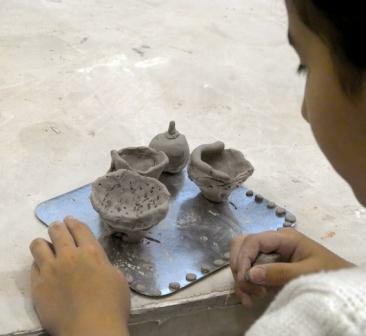 Activity for children during Pesach – experiencing clay. A one time workshop for children to work in clay, inspired by the exhibition SHIFT showing currently at the Benyamini Center. Suitable for children from 5 years old. Thursday, 28 March 2013, from 10:30 to 12:00. Cost: 40 shekels a participant. Ceramics – What are you Worth? !